This open bookcase is the perfect mix of materials and styles. 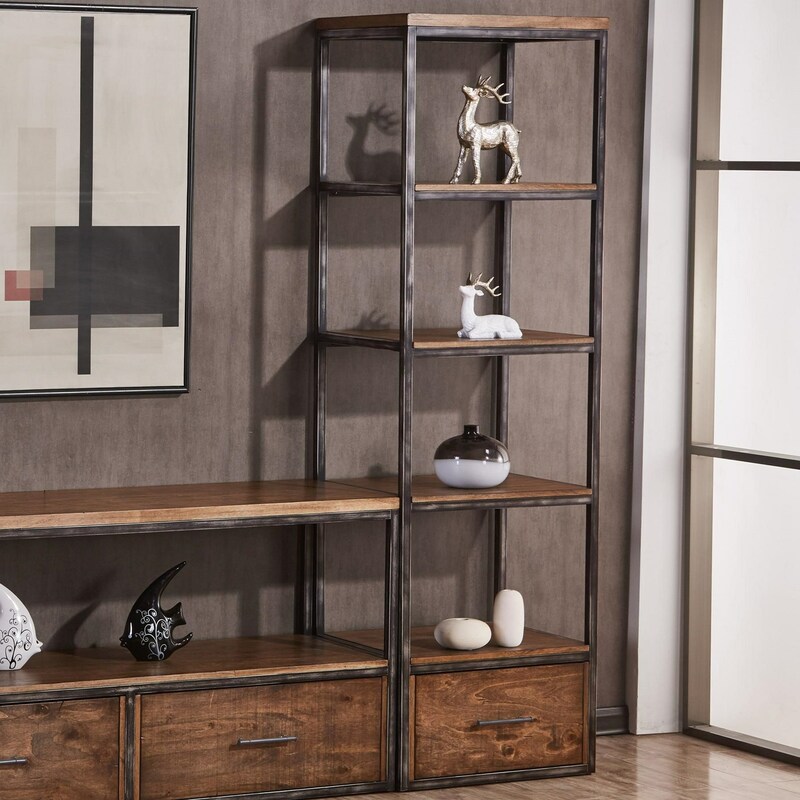 Its birch veneer wood shelves and base of blackened, metal tubes tastefully mix two complementary materials for an on trend, industrial, rustic look while its clean lines also give this bookcase a contemporary edge. This piece is functional as well thanks to its shelving and lower drawer. The Chandler Contemporary Industrial Open Bookcase with Distressed Finish by Simmons Upholstery at Royal Furniture in the Memphis, Nashville, Jackson, Birmingham area. Product availability may vary. Contact us for the most current availability on this product.